We Get To Know Adelaide outfit Runaway Weekend in our latest feature. 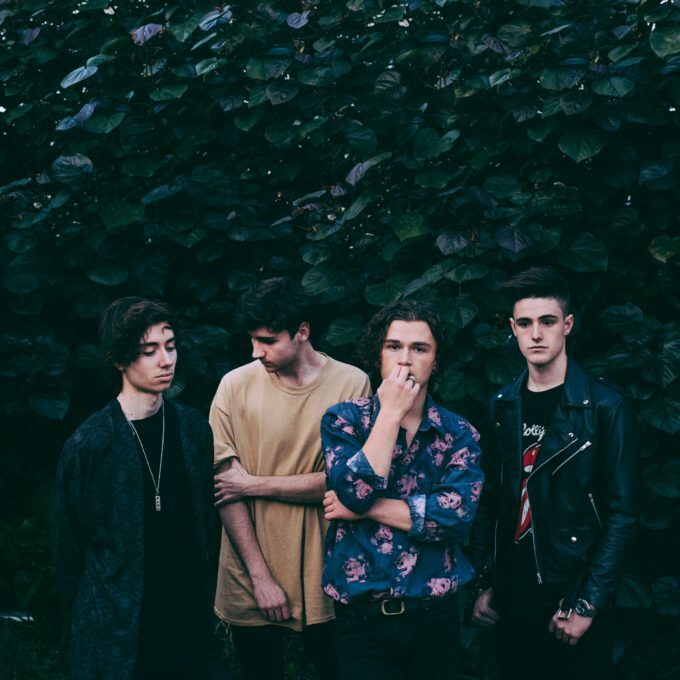 It’s a big day for the four piece; ahead of the release of their EP ‘Déjà Vu’ early next month, today they reveal and release the first single – and title track – from it. But just who are Runaway Weekend? And, moreover, what do they want with us? Find out below. 02. Where are you based? Adelaide, Australia. 03. How did you choose your band name? Took ages! Spent hours searching through our iTunes libraries looking for song names that had a cool ring to it. Ended up with ‘Runaway’ by Ed Sheeran, which we changed to ‘The Runaways’. Unfortunately that was already taken (damn you Joan Jett) so we added Weekend and the rest is history. 04. Give us five words to best describe you as a band. Cinematic. Nostalgic. Relatable. Euphoric. Catchy? 05. What’s your biggest claim to fame so far? Well, we got to #2 on the iTunes Preorder Best Sellers chart for a while. It was cool seeing our name next to bands like The Avalanches, Blink 182 and Red Hot Chili Peppers. 06. Who are your members? Kyle Hall, Nic Hutton, Peter Spiniello, Daniel Cunningham. 07. How was the band formed? Danny was watching a local production of a musical and saw Kyle performing and thought he was sick, so he YouTube’d him and came across a video of Nic and Kyle doing an acoustic cover of an Angus and Julia Stone song. He thought it was cool so asked both of them to start a band with him. Danny and Peter were friends in primary school and ended up living next door to each other at the end of high school, so Peter was at one of the recording sessions in Danny’s home studio and the whole group just kinda hit it off musically. 08. In what ways has the band changed from when it was formed to today? In terms of our style we’ve almost completely changed. It wasn’t a distinct decision to make a change in our style, it just happened naturally over the course of a year or so. We actually wrote three or four EPs that all got scrapped because we felt like the sound wasn’t us. 09. Tell us a little bit about your sound. We wanted a very cinematic sound for this EP, in that the whole thing is an experience to listen to as a whole, rather than just individual songs plastered together to make a CD. Every aspect of the CD was carefully calculated and we used a lot of ideas and techniques used in cinema to create an atmosphere that we hope resonates with listeners. We tried to blend a lot of inspiration from different genres like hip hop, film scores, rock, and atmospheric into a singular and unique sound that we feel best represents us, as we are right now. 10. What are your members’ favourite songs of all time? I think its safe to say that our favourite songs fluctuate a lot, depending on our mood or what we’re going through in life at any given moment. Too hard to pick! 11. What’s your strangest experience as a band? Going on tour it was weird for us to have people that actually wanted to buy our merch and take photos with us and stuff like that. None of us had experienced anything like that before. 12. Tell us about your latest release. The ‘Déjà Vu’ EP was written and produced solely by the band. The writing process varies a lot between songs but usually has one or two people hanging out and writing some ideas out and then sending them to the other members to work on. Writing started while Danny was in Europe for a couple of months, so the internet made it possible for him to keep working on stuff with the band even while he wasn’t actually there (bless the internet). We took a trip to a house on the coast, in SA, to a little town called Victor Harbor a couple of times and took over the whole place, turning it into a makeshift recording studio. After we had recorded everything Danny spent a few months locked away in his studio developing the EP into what it is today. 13. What do your future plans involve? We’ve started writing another CD that we want to release this year, which should be cool. We really want to go overseas and see the world with the band as a catalyst. We’ll see how we go. 14. Where can our audience catch you live? We’re going on tour in July; Brisbane July 10 at The Foundry, Melbourne July 16 at Wrangler Studios and Adelaide July 18 at Producer’s Bar. We’ve got a Sydney date being added soon too, so stay tuned for that!